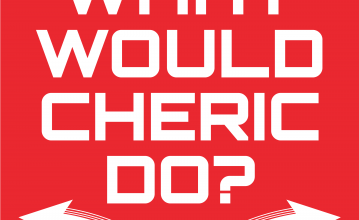 February | 2017 | What Would Cheric Do? As we dive deeper into the CYOA Multiverse, Cheric finds himself thrown into the search for the Lost Jewels of Nabooti. Who can Cheric trust, where are the jewels, how many times can Chad change his mind on one decision. Eric gets confused. Chad follows his gut. Cheric takes a dive. In this episode, Cheric is forced to take a deep look at his life and determine what is more important: living or sacrificing something very dear to him. I mean how punishing can the Earth really be? Eric gets passionate, Chad gets musical, and Cheric teaches us all an important lesson.